I went there to check their robotics area because they’re the only school I saw that offers this. It looks interesting right?! When I arrived and knocked at the gate, I felt weird that it was locked (yeah with padlock) from the inside (so bawal mawala ang susi, kung hindi walang makakalabas). I went directly to the registrar’s office to inquire. The person who entertained me was nice and toured me around too. What I don’t like based on my first impression was that their computer/robotics area can be used by kids to play games (which I felt is not appropriate). Also, I only saw Lego Mindstorms (still inside the box) when I asked about their robotics subject. Compared to First Robotics Learning Center in Greenhills with an amazing facility, this room from SV Montessori is like a regular room with computers. Nothing extra ordinary. I also heard from a mom who has a kid previously enrolled here that they did not see any test papers of her son. She doesn’t know how the school come up with his grade. Visit them and check it for yourself. Ok naman sila when it comes to academics. Teachers are good. You should have tried Statefields if Robotics ang hanap mo. During summer they offer it even for outsiders. My nephews enjoyed their robotics there and they really learned a lot daw. To what i know lumalaban din sila sa competions. Mommy levy do they offer sped? Any feedbacks po on APEC schools thanks! 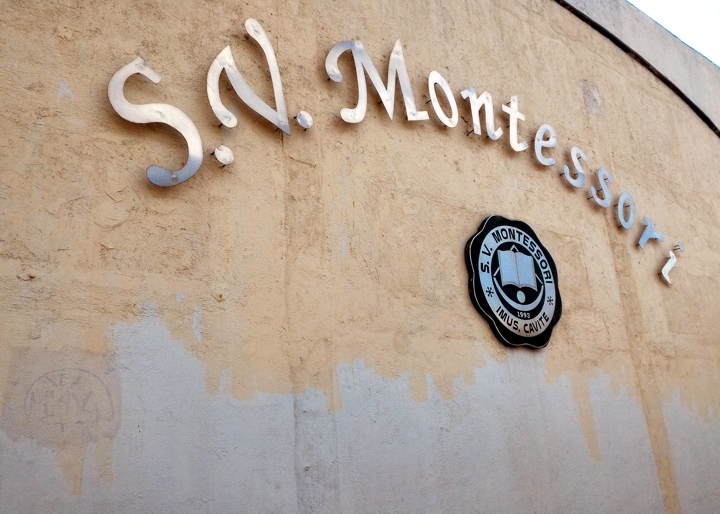 I don’t think they are authentic Montessori but they have a small class size compared to other schools nearby.